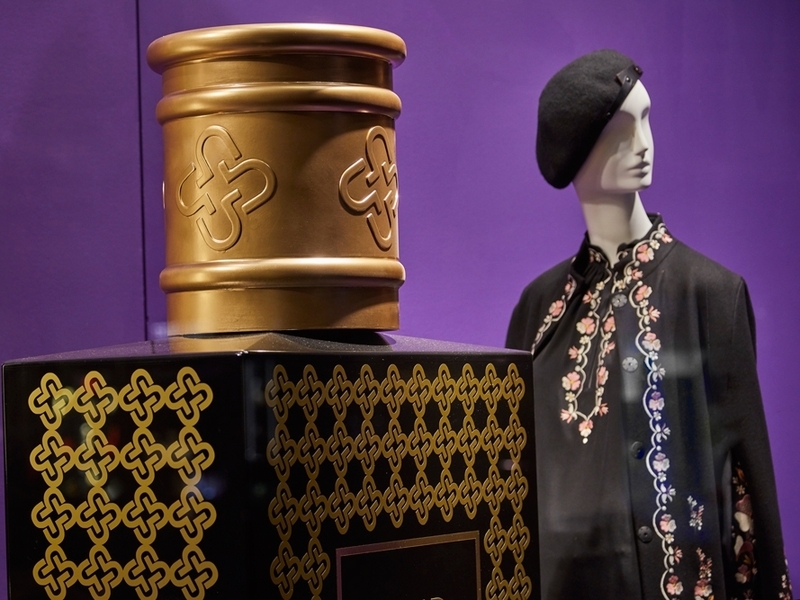 This divine and indulgent window was created by producing five oversized replica perfume bottles manufactured by Propability to perfect precision. The bottles, scaled up to measure approximately 1.9m tall were made from MDF and acrylic, with two of the bottle tops sculpted out of poly and plastered before being scenically finished. At either side of the main feature, the Terry de Gunzburg - Terryfic bottle rotates on a plinth and on the other, the beautiful Profumi Del Forte - Versilia Vintage bottle also turns with the metallic polka dot design reflecting the light. 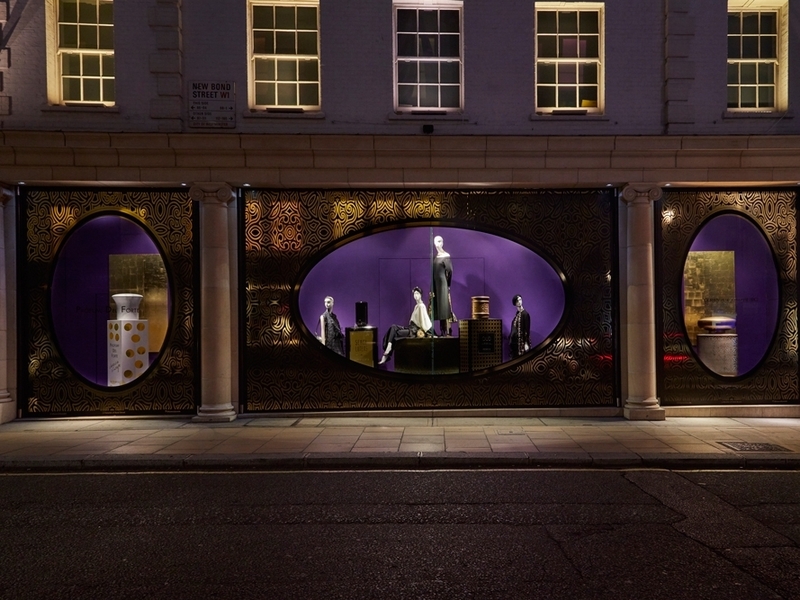 The window is framed in a stunning metallic gold foil window vinyl for ultimate gloss. 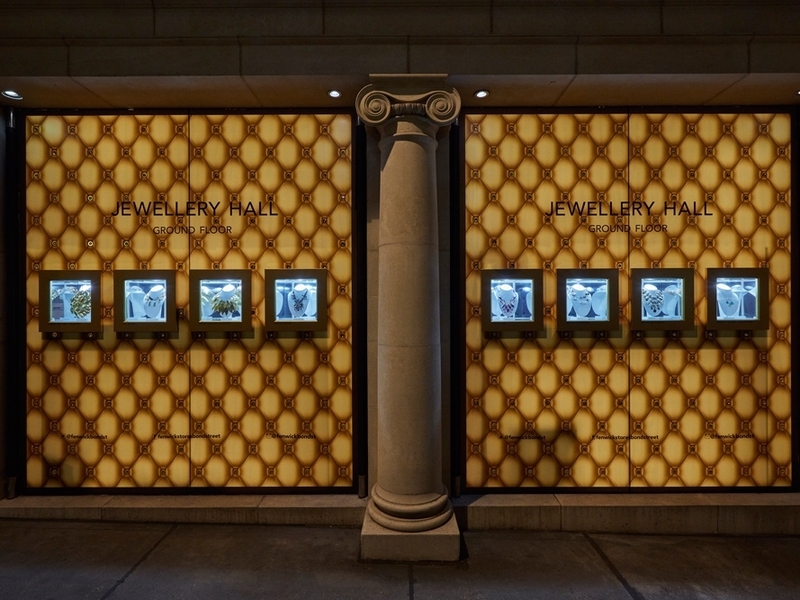 The stores Brook Street windows featured mirrored boxes and spotlights to display jewellery.